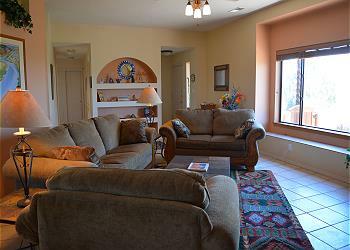 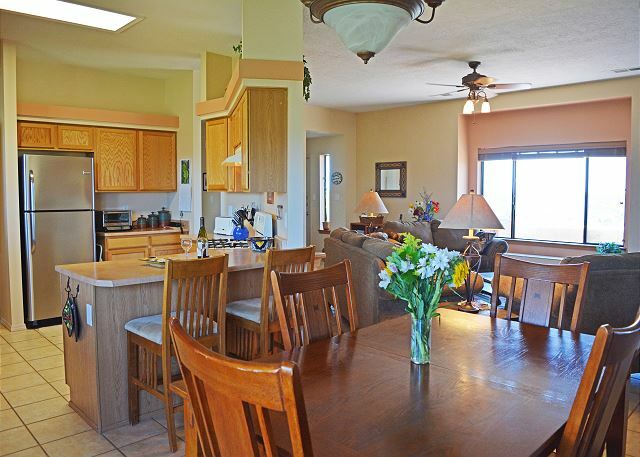 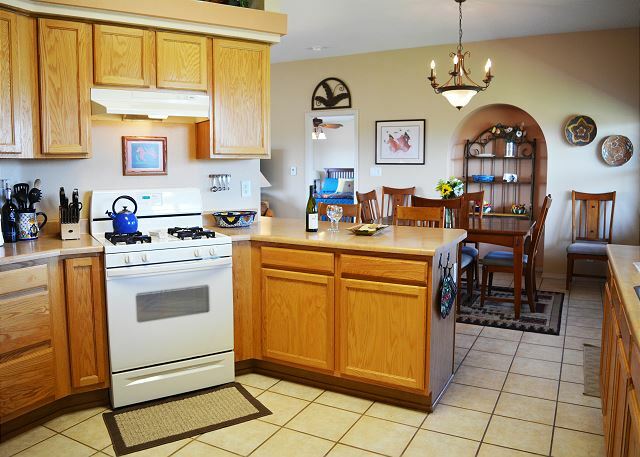 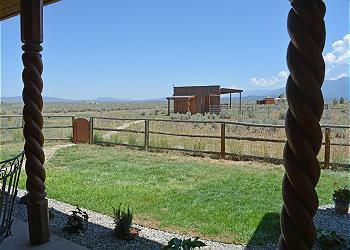 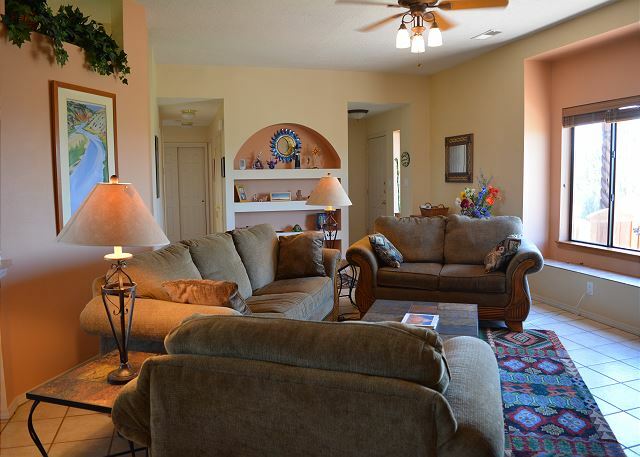 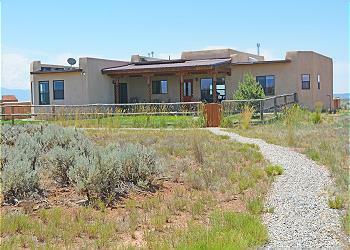 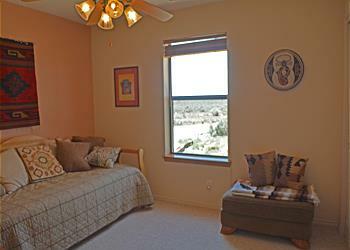 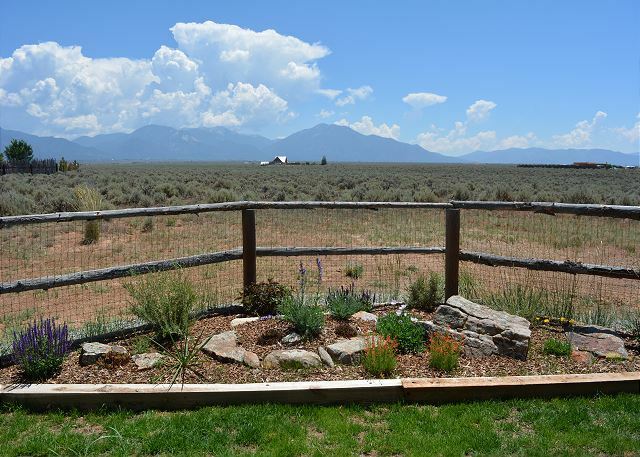 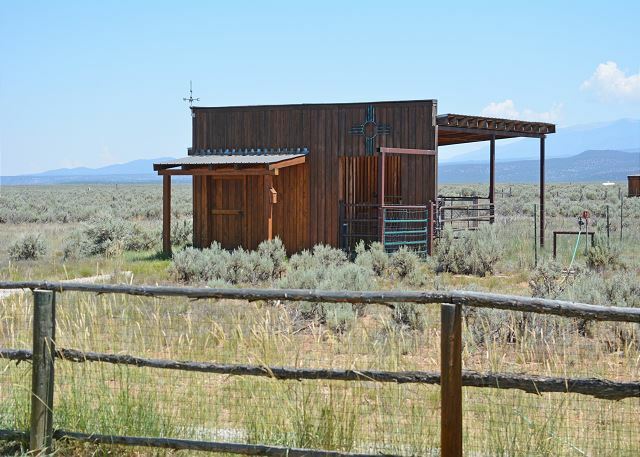 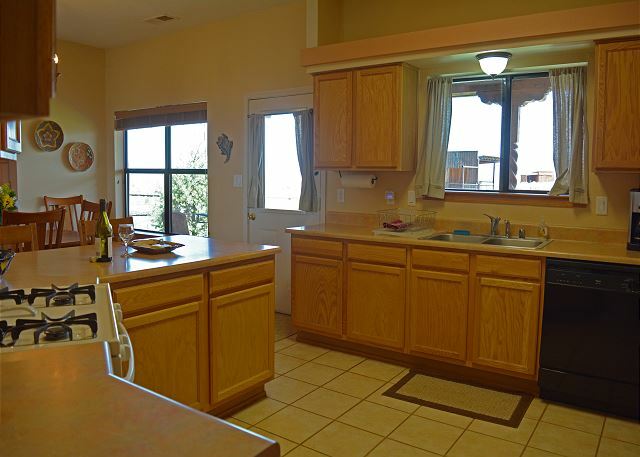 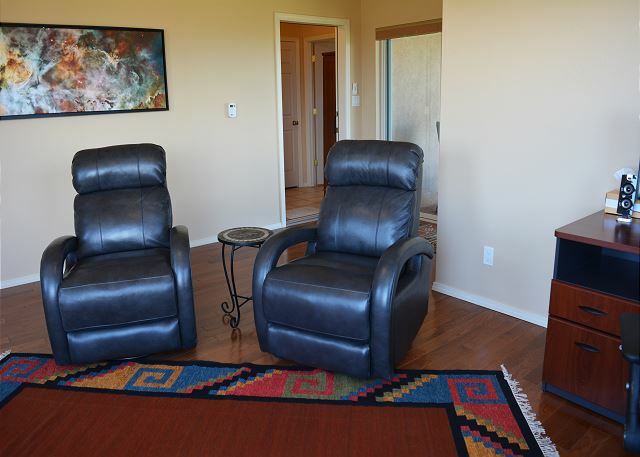 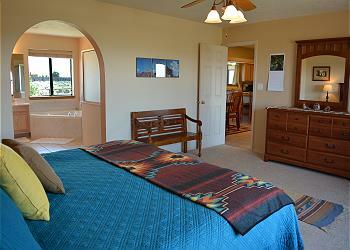 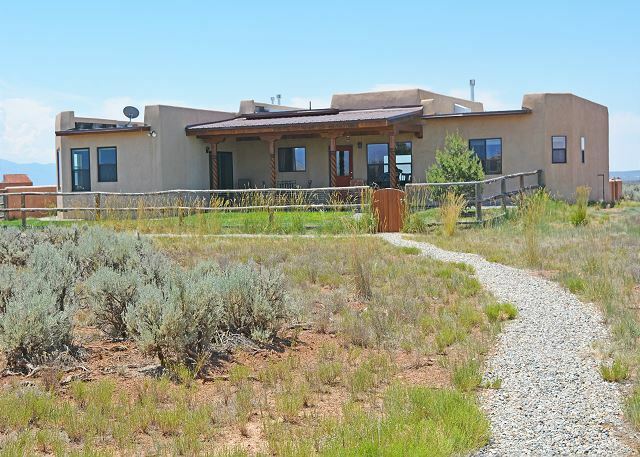 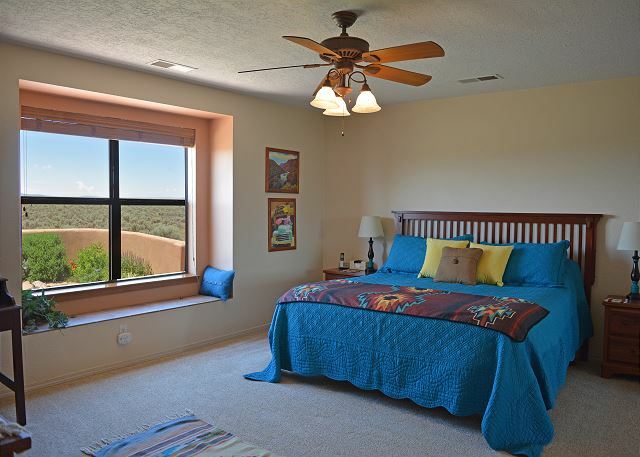 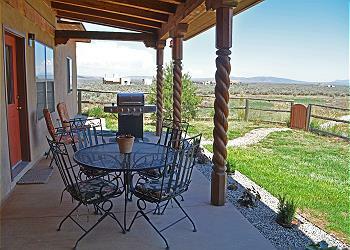 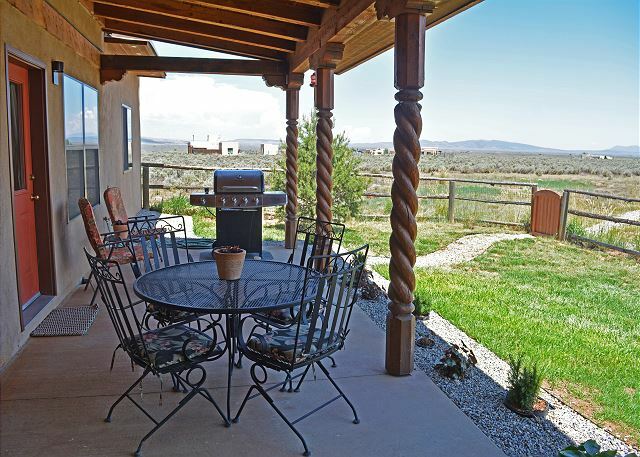 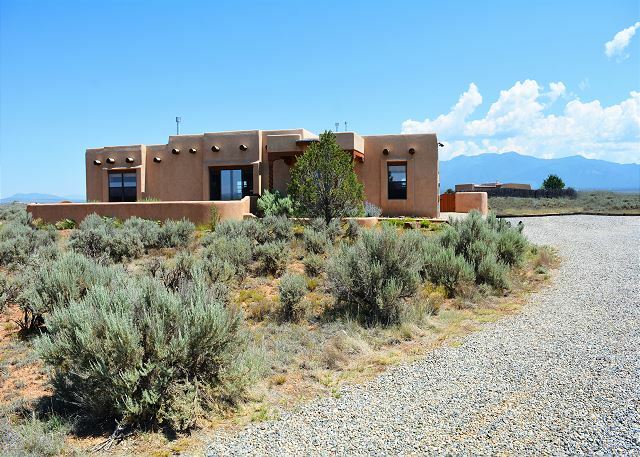 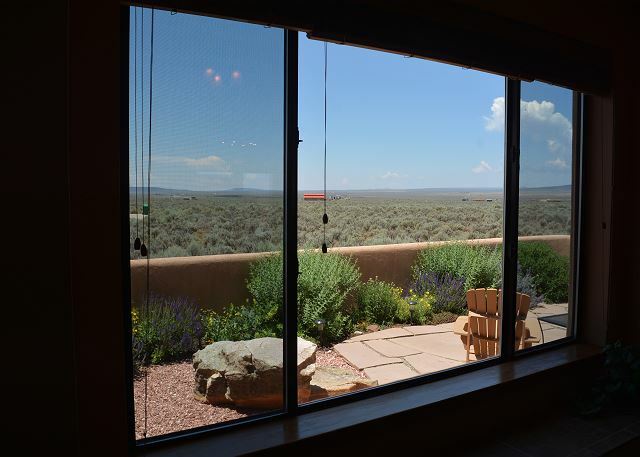 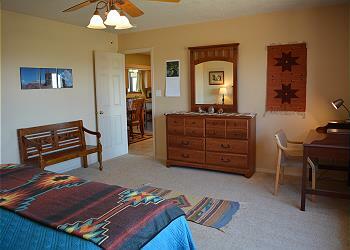 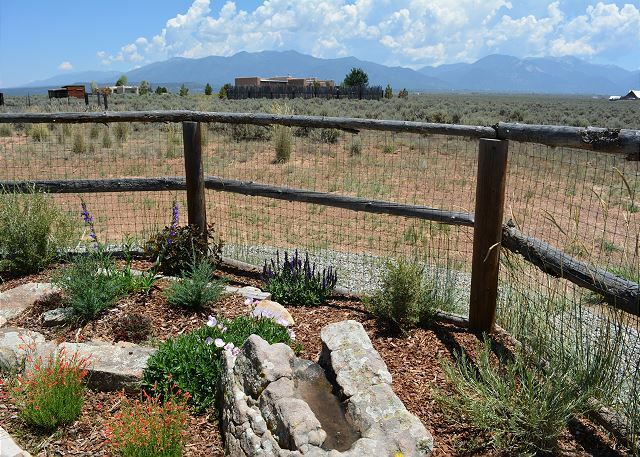 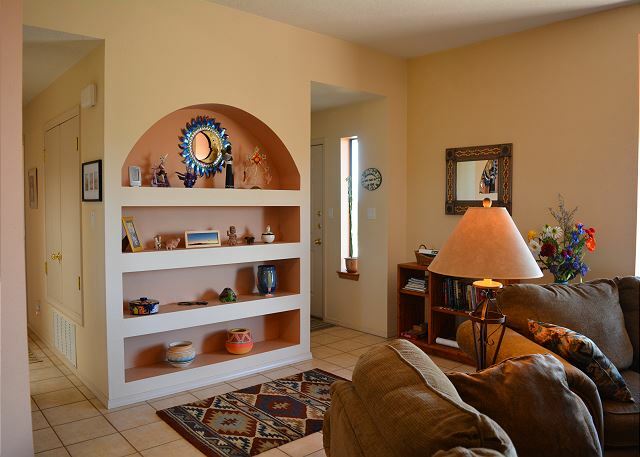 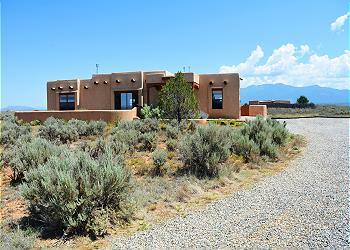 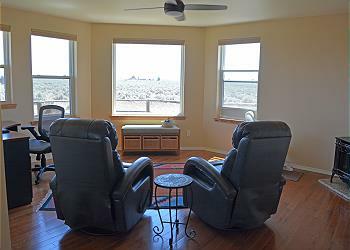 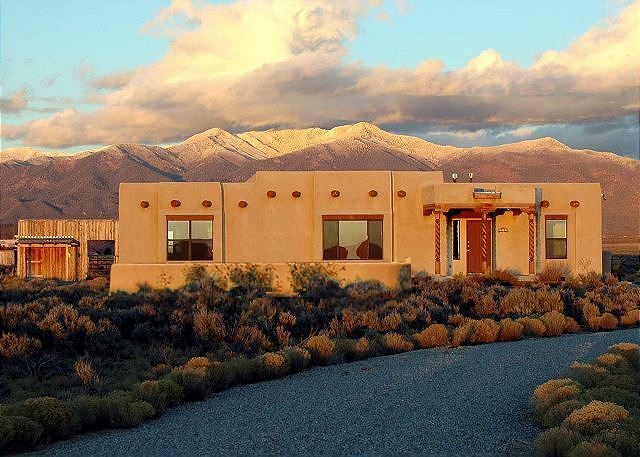 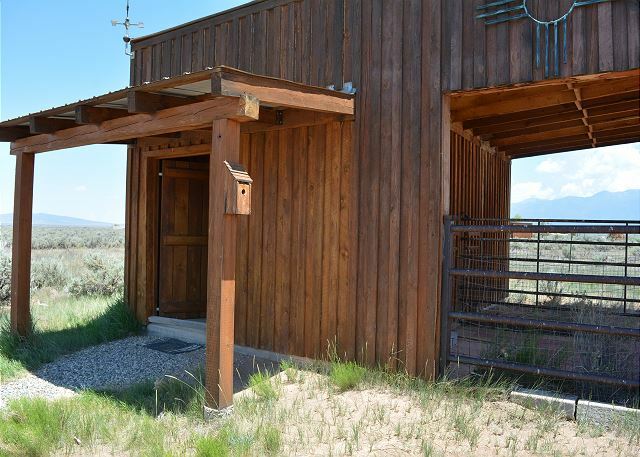 High Desert is a beautiful and spacious 3 Bedroom 2 Bath home set on 5 acres in the high sagebrush mesa just 15 minutes from the town of Taos. 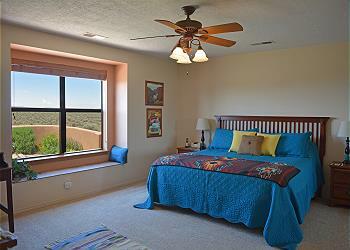 Here you will enjoy expansive 360 degree vistas and a variety of native wildlife and birds. 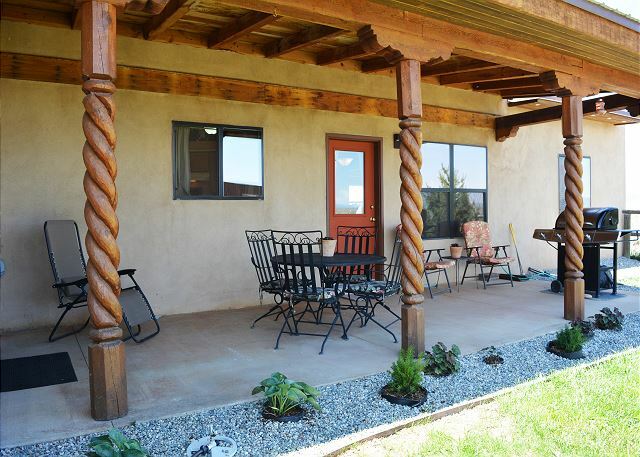 From the front garden courtyard, relax in the Adirondack chairs and watch as the sun sets over ancient volcanoes to the west. 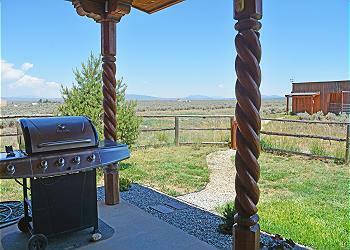 Or from the covered portal in the back, grill a delicious meal and take in the evening alpenglow on the high peaks of the Sangre de Cristo mountains. 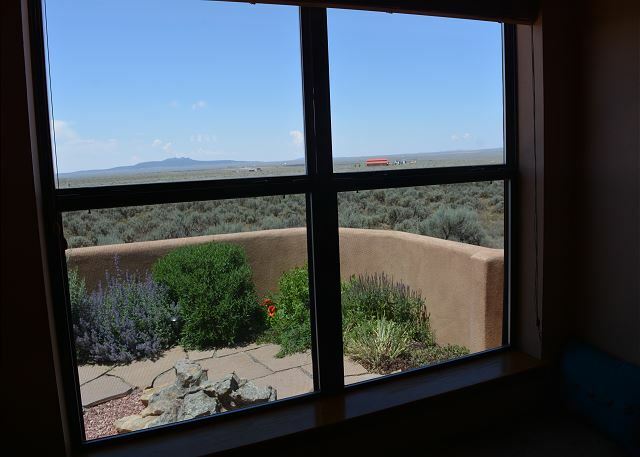 Listen to the howls of coyotes across the mesa at night and marvel at unbelievable views of the Milky Way in the dark skies away from the lights of town. 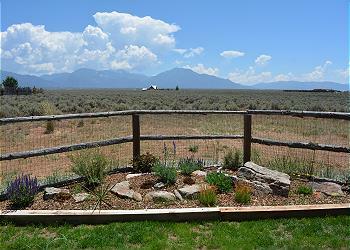 The Rio Grande del Norte National Monument is an easy 1.5 mile walk to the west. 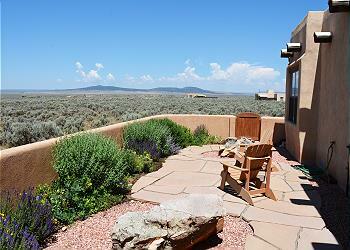 In the Monument, hike down the old stagecoach route to Manby Hot Springs and enjoy a soak in the Rio Grande. Be sure to look for desert bighorn sheep and petroglyphs along the way! 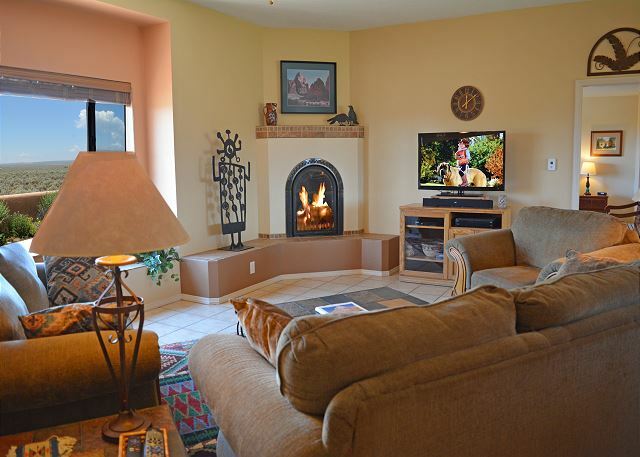 This immaculate home has high ceilings, a flat-screen TV, and a cozy gas fireplace in the large living room/dining room. 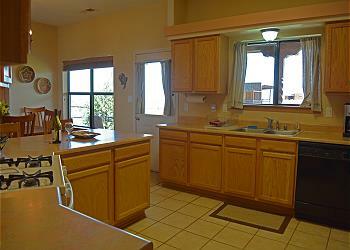 The kitchen is roomy and well-equipped. 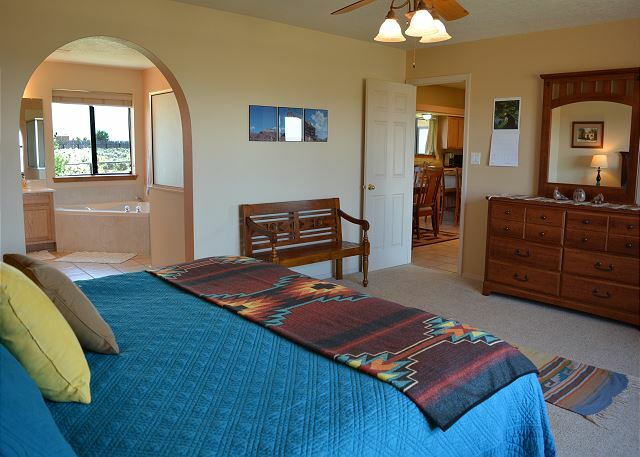 The over sized, lovely and private master suite includes a king size bed, a desk for your laptop or tablet (with high-speed fiber-optic wifi) and a large window with window seat. 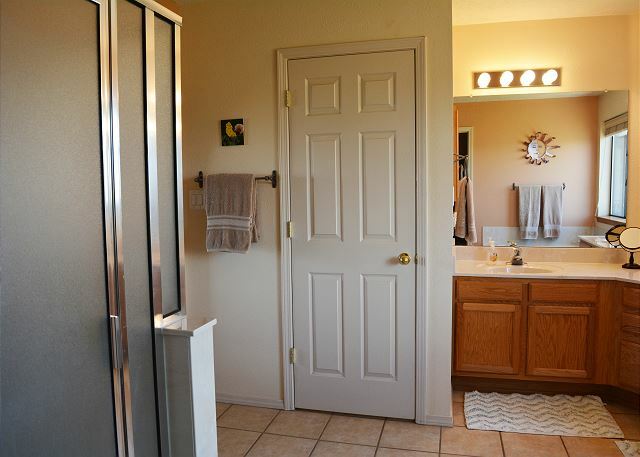 In the master bath you’ll find a Jacuzzi tub and separate stall shower. 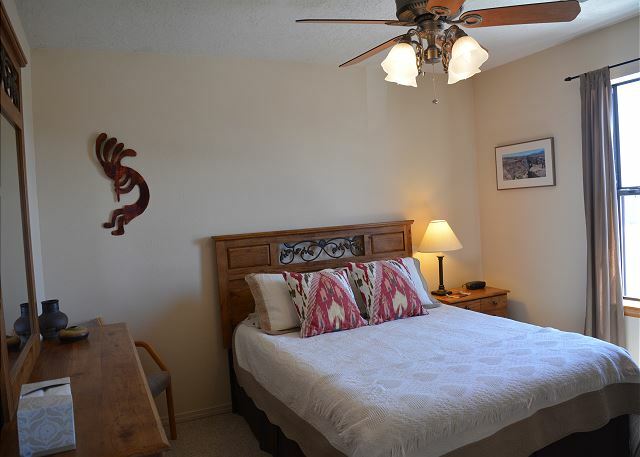 The second bedroom has a queen bed and walk-in closet, and the third bedroom is furnished with a twin bed and additional trundle. 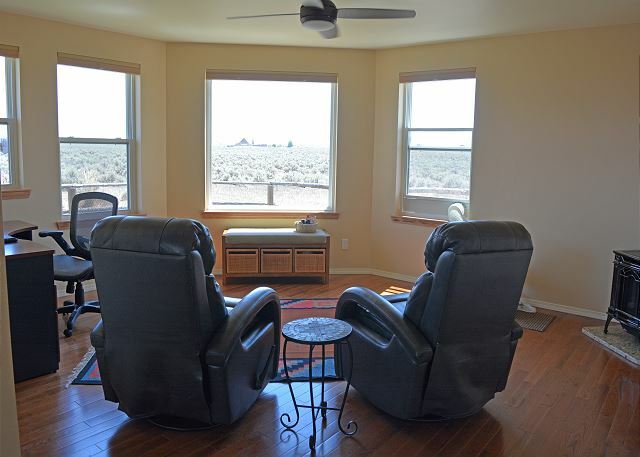 A newly added den in the back of the home is surrounded by windows and has two comfortable Barcaloungers where you can put your feet up and sip a glass of wine after a long day of recreation. 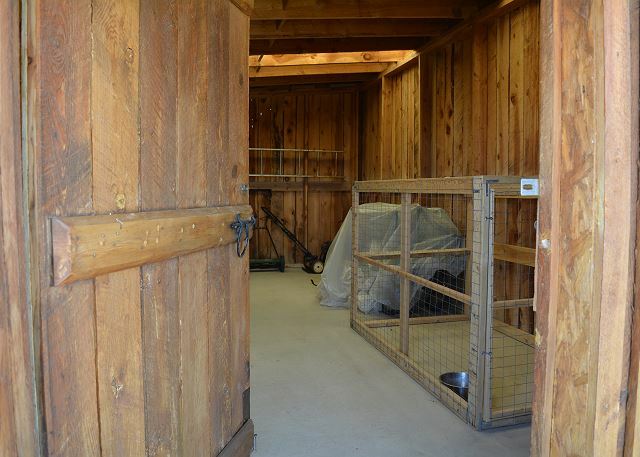 Enjoy the companionship of your dog as this property offers a fenced backyard and a large indoor/outdoor dog run in the barn behind the house. 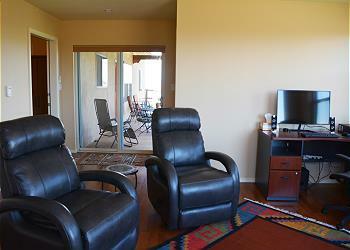 "We loved the home - it's really beautiful. 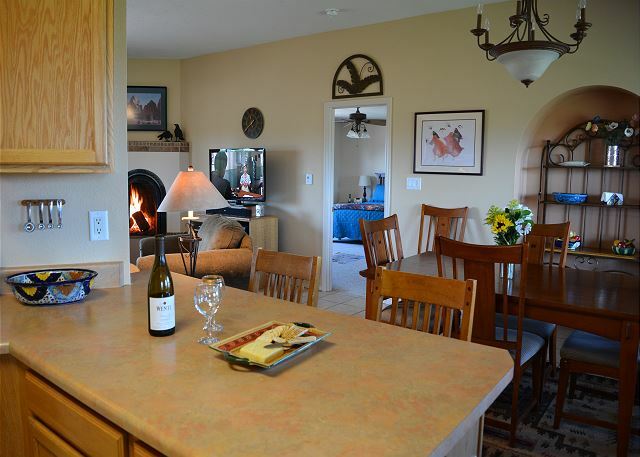 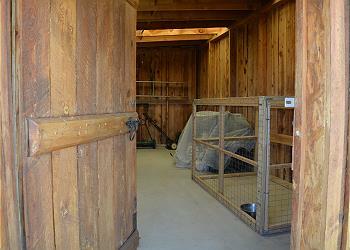 The home had everything we needed, plus it was a perfect place to bring our dogs. The views out there are fabulous! "